Throughout our life we can face many ups and downs. What makes the tragedies of life more unbearable is when we attempt live by our own strength apart from God. A Christian who seeks God's will on a part time basis will NOT be happy in life at all. Why? Because God is the Potter and we are the clay! He is sovereign. He is in complete control. His process for bringing you into Christian maturity may be different than yours, but you must trust Him! The main difference between us as human beings and clay is that clay has no will. It always conforms to the shape that the potter is molding in into. Are you facing troubles today? Are you feeling disconnected from God? Do you feel stifled in your spiritual walk? Lay your troubles down! Understand that God is your Potter. Be totally open to His direction and will. He has your best interest in mind. 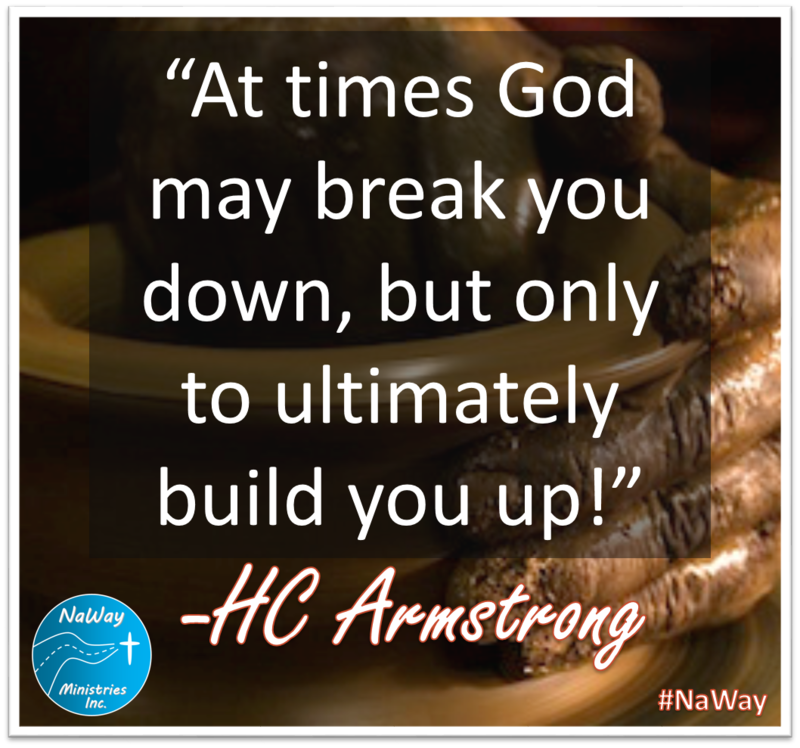 At times God may break you down, but only to ultimately build you up!